I fell behind again on the Push Your Mani prompts, but I'm going to do my best to catch up and complete them all! This weekend I visited my sister (sans kiddos ;-) ), and was able to complete the flamingo prompt between all the toes and fingers of my sister and niece being painted! 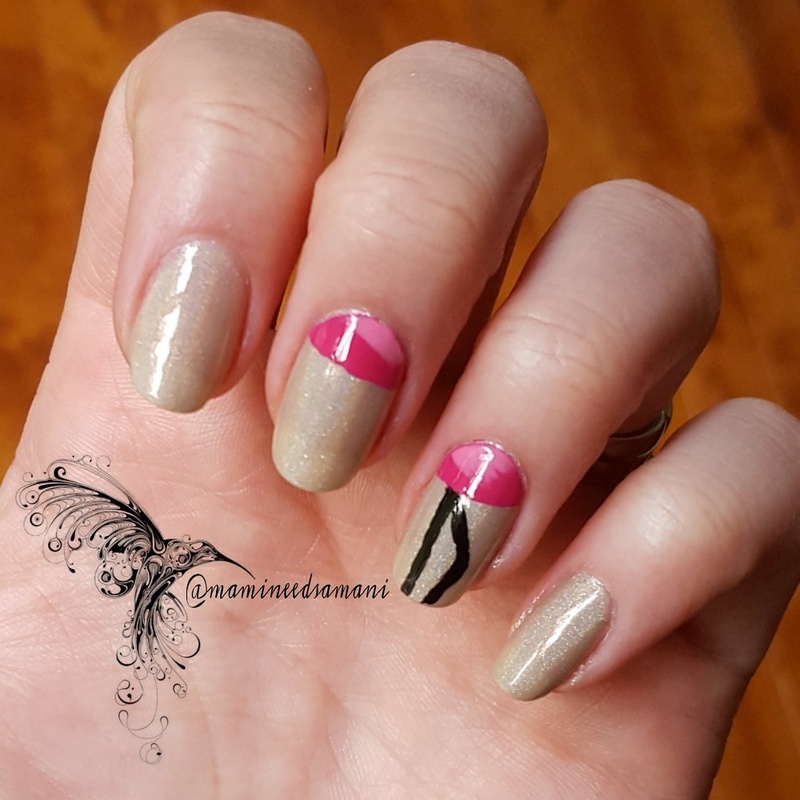 In this mani, I used KBShimmer In Bare Form, one of my no name The Color Workshop polishes, Sally Hansen Fucsia Power and Black Out. How are you enjoying all of the summer mani's that have been around? I have been, but man am I ready for some fall preties to come out and play! Bestie Twin Nails - August!